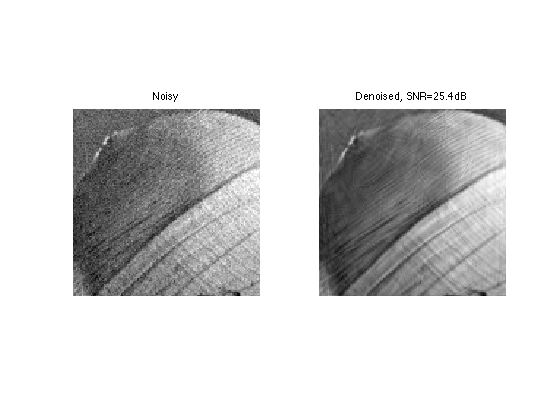 This numerical tour explores the use of curvelets to perform image denoising. and it uses the Curvelab implementation. Parameters for the curvelet transform. One can perform a non-linear approximation of the image by thresholding the curvelet coefficients. One recovers the approximated image by using the inverse curvelet transform. Display the approximation. Note that is not the best non-linear approximation since the curvelet tight frame is not an orthogonal basis. Curvelet thresholding is useful to perform denoising. We load a sub-set of the lena image. 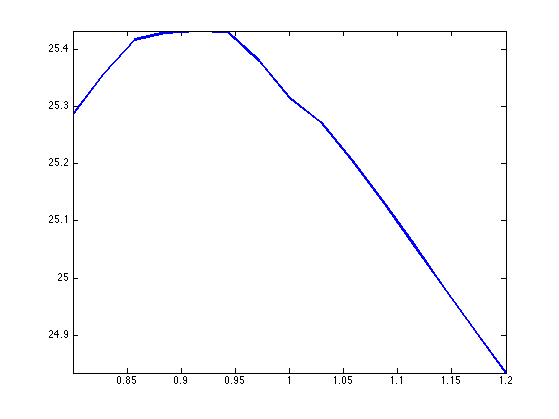 Exercice 1: (check the solution) Compute the best threshold to minimize the denoising error in curvelets. Call Mcurv the optimal denoising. Exercice 2: (check the solution) Perform cycle spinning to enhance the recovery error. Exercice 3: (check the solution) Compare with translation invariant hard thresholding. L1 sparsity in curvelets can be used to regularize inverse problems. 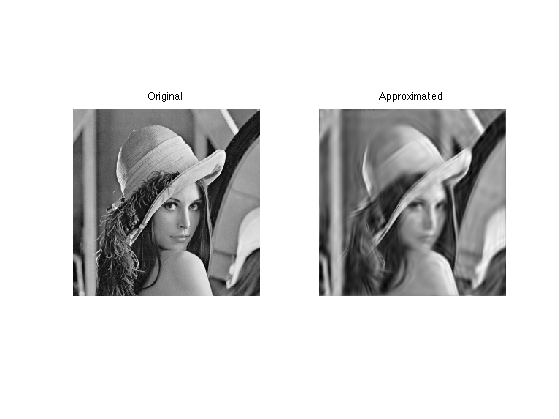 Exercice 4: (check the solution) Applies curvelet iterative thresholding to solve an inverse problem such as inpainting, deconvolution or compressed sending.